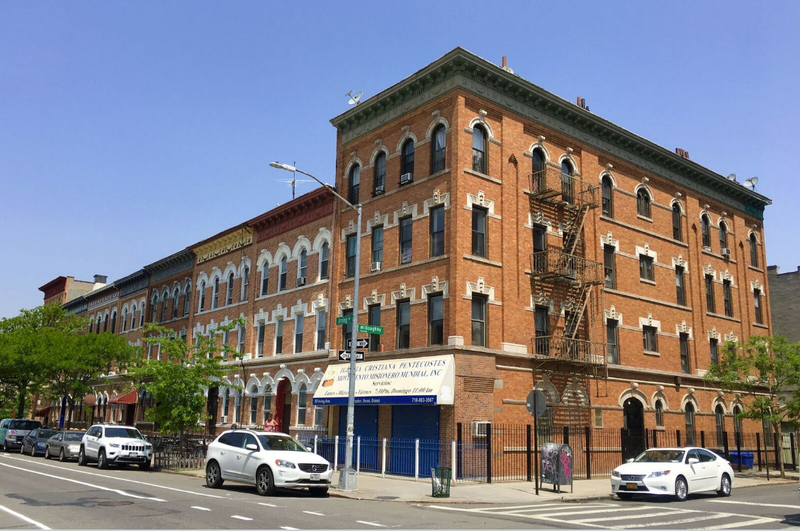 A 26-year-old homeless man was arrested on Tuesday for punching a 9-year-old boy and 16-year-old girl in the back of their heads as they were standing in the lobby of the Bushwick Houses. Charles Matthews faces up to a year on Rikers Island for the attack, which left the children hospitalized for their injuries, police said. The pair were standing in the lobby of 869 Flushing Ave. in Bushwick around 7 a.m. when Matthews allegedly approached them from behind and punched them both in the head. Matthews, 26, then fled the location and was arrested hours later, police said. The alleged assailant, who police classified as homeless, is pending arraignment in Brooklyn Criminal Court for three counts of assault, endangering the welfare of a child and criminal possession of a weapon.